An idea that began with three eighth graders has grown into an educational — and delicious — opportunity for all Blake Middle School students. 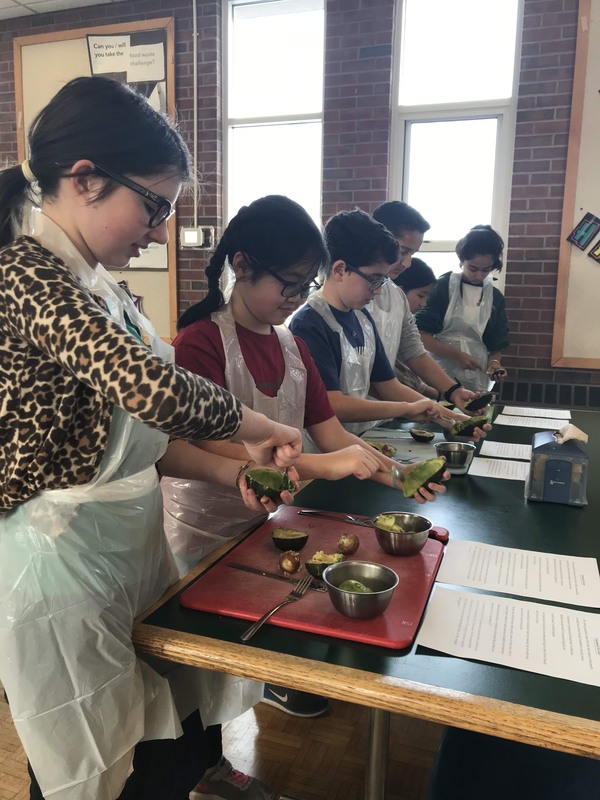 The Cooking Club meets weekly during tutorial in the school's dining room, where Blake's food service director and executive chef teach interested students cooking skills, share nutritional information and provide the cultural background of the food being prepared. The club is currently in its holiday-themed second session during which 15 students recently made potato latkes. Previous dishes have included guacamole, deviled eggs, roasted root vegetables and a Harry Potter-inspired fudge. Several more sessions are slated for the new year to accommodate the huge student interest.